More than 40 per cent of expats in the UAE have sold their properties in their home countries in order to obtain a second citizenship, latest data shows. According to Savory & Partners, about 23.7 percent of applicants sold some of their own properties to apply for a second citizenship while 16.9 per cent sold their only house last year to secure another passport or nationality. "The UAE has turned into an important hub for securing the Caribbean or the European second citizenship. Over the past 6 months or so, there has been a remarkable increase of 67.6 per cent comparing to the same period of last year of clients coming to the country just for securing a second passport. These clients are either expats living in the GCC countries, Pakistan and Afghanistan," said Jeremy Savory, CEO of Savory & Partners. The data showed that 17.4 per cent of applicants are parents who apply on behalf of their sons, daughters or brothers, it said. Imran Farooq, CEO of AAA Associates, a Dubai-based immigration advisory, says that even if few investors and businessmen have to disburse assets to afford higher and better benefits, these are wise decisions in their best interests, hence it suits them well. Veronica Cotdemiey, CEO of Citizenship Invest, said it is correct to say that some people make a big financial effort to obtain a second nationality, while others don't have to. "The security the citizenship applicants have when applying for the programmes we promote is that they don't have to pay the largest lump sum of investment until their citizenship is approved. Therefore, they don't have to make any financial commitments until they are certain that their citizenship has been approved," she said. She noted that the need for obtaining a second citizenship or passport has increased tremendously over the past 4 years because expats in the region are recognising the importance of this and are investing part of their finances to obtain a second nationality. This trend has been pushed even further with the recent addition of value-added tax, she added. "Every expat whether they were from Arab or Asian origins is looking for the best way to grow their businesses, secure their family's future, protect their finances and move freely around the world and a second nationality allows them to achieve all this," she added. Cotdemiey pointed out that stringent immigration policies applied by European nations and the US on several Arab countries is also creating an urgency for applicants to obtain a second nationality. Among the expat communities seeking a second passport in the UAE, Pakistanis are No.1 followed by Syrians, Indians, Lebanese, Egyptians, Palestinians, Jordanians, Iranians, Iraqis and UAE nationals, according to the Savory & Partners report. 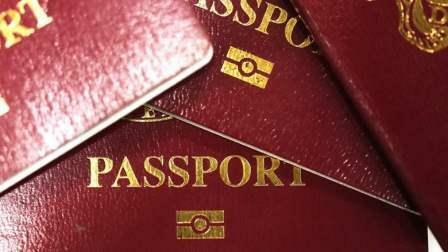 The top destinations for second passports are Commonwealth of Dominicia, St Kitts and Nevis, Spain, Portugal and St Lucia. Savory noted that the Commonwealth of Dominica is the easiest option in terms of costs and document requirements for obtaining second passport for single applicants while Antigua and Barbuda and St Kitts and Nevis are the best bet for a family of four. Around 56 per cent of UAE residents seeking second citizenship apply with their families while 41 per cent are single applicants. However, 39 per cent of people applying for second citizenship apply before the age of 40. More than 46 per cent of applicants have the St Kitts and Nevis citizenship as their favourite since it allows its holder to enter the UAE without a visa and it has an embassy in Dubai. Cyprus citizenship, meanwhile, is the most favourite programme when it comes to Europe - but an applicant has to invest ?2 million in real state.